Staying ahead is the best way to avoid falling behind. It’s a waste of time to fix something that isn’t broken. 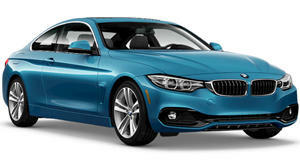 "Not broken” is a term we would use to describe the BMW 4 Series, which, as the automaker points out, has sold more than 400,000 units worldwide since its inception in 2013 through the end of 2016. That being said, in the auto industry it’s not always a bad idea to freshen up while ahead. For BMW this is an especially good idea given that Mercedes turned the C-Class Coupe into a budget version of the S-Class Coupe. In an effort to stay ahead of the pack BMW has just unveiled the new 4 Series. 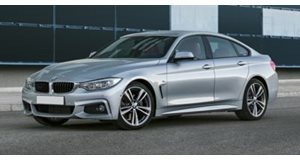 To keep things consistent throughout the model lineup (coupe, convertible and Gran Coupe, aka the 3 Series you have always wanted) the changes are subtle. Yet they have the cumulative effect of keeping the 4 Series from slipping behind in its hotly contested segment. Restyled LED lights take center stage up front and at the rear, replacing the xenon headlights on the outgoing model. Along with the now-standard LED fog lamps, restyled air intakes as well as a rear apron help the 4 Series look competitive. Inside the changes are just as understated. Chrome accents can be found in new locations and are paired with electroplated detailing and stitching on the instrument panel, which can be combined with three new upholstery colors and trim choices. Finishing off the eye-pleasers are two new paint finishes, Snapper Rocks Blue and Sunset Orange, as well as model-specific wheel designs for the Advantage, Sport Line, Luxury Line, and M Sport packages. Hardware doesn’t go untouched either with the 4 Series gaining a reworked suspension for the Coupe and Gran Coupe models that rides more firmly and transmits road information to the driver more effectively. For those wanting to carve the canyons sport tires can be added in the factory if optioned. In the never-ending quest to make infotainment systems less annoying, BMW fitted its newest iteration of its optional user inference with new tile-style control pads that can be rearranged. 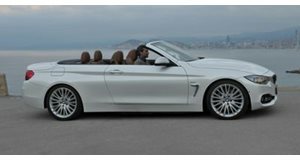 The picture under the hood doesn't change significantly, with the 4 Series gaining BMW's range of EfficientDynamics engines. Included in this family are three turbocharged gasoline engines (a 181-horsepower unit for the four-cylinder 420i, a 248-horsepower mil for the 430i four-banger, and a 3.0-liter power plant making 321 horsepower in the six-cylinder 440i). There are three turbo diesels ranging from 148 horsepower to 309 horsepower, but there's next to no chance we'll see those in the US. These engines can be mated to either a six-speed manual or an eight-speed automatic gearbox which sends power to either the rear wheels or all four wheels if xDrive is spec'd. Prospective M4 buyers can expect to see the same LED light treatment and cabin upgrades make it to the coupe and convertible Ms, although power output on the M model remains the same despite the fact that the Mercedes-AMG C63 S makes a substantial amount of extra power. Don’t expect the upgrades to come for free as Autocar claims that UK buyers are being asked to pony up an extra £680 ($818) for the upgraded 4 Series.